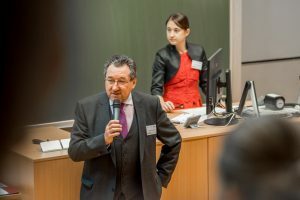 On 28 and 29 November 2018, Microstructure of Building Materials researchers, in collaboration with WTA CZ, organized the 40th Conference on Rehabilitation and Reconstruction of Buildings 2018. The conference is dealing with the rehabilitation of buildings that are thematically divided into these areas, such as protection and restoration of wooden structures, surface treatment, stone restoration, masonry redevelopment, redevelopment of concrete structures, etc. Representatives of WTA CZ and other leading Czech experts took part in the conference. Together with the Conference on Rehabilitation and Reconstruction of Buildings, an international conference was held under the name of the 20th CRRB – Conference on Rehabilitation and Reconstruction of Buildings. Selected contributions to this conference will be published in a scientific journal included in the Scopus database. 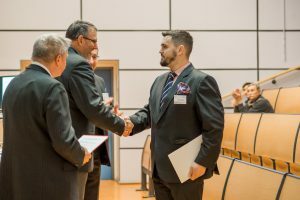 During the conference several scientists were awarded for outstanding diploma and dissertation work in the field of rehabilitation and reconstruction of buildings. The conference was attended by the expert section of the Quality Council of the Czech Republic “Quality in Industry and Construction” of the Ministry of Industry and Trade, with particular attention being paid to practical demonstrations of control and testing methods for evaluation of existing structures and for the quality control of remediation works.